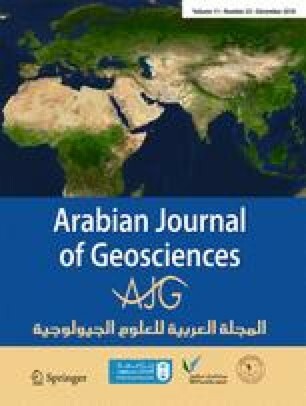 In this study, an ordinary differential equation for dissolution of rock salt in still water is established, for the purpose of researching the dissolution mechanism of rock salt in still water, by calculating the concentration distribution of the boundary layer of the rock salt solution. On this basis, a dissolution model for rock salt in still water with different dissolution areas, solution concentrations, and solution temperatures is established. The corresponding analytical solutions are derived and solved, and parameter inversion is conducted with experimental data on rock salt dissolution, from which the dissolution parameter convective mass transfer coefficient k in still water is obtained. In addition, the results of previous dissolution tests are interpreted and discussed from a theoretical perspective using the derived dissolution model. It is found that the dissolution area has no obvious influence on the dissolution rate and the dissolution rate gradually decreases with increasing solution concentration when the solution volume is 5 L and the water is changed every 5 min. It is also proved that parameter a1 is relevant to the molar mass M and saturation concentration Cs, and parameter a2 is relevant to the convective mass transfer coefficient k. The model established in this paper may describe well the dissolution mechanism of rock salt in still water, and provides a basic theoretical foundation and analytical method for research on the dissolution characteristics of rock salt. This study was supported by the Fujian Provincial Natural Science Foundation Projects (grant nos. 2017J05070, 2016J05108, 2018J01624), the Research and Development Fund of Fujian University of Technology (grant no. GY-Z17160), and the National Natural Science Foundation of China (grant no. 51608120).